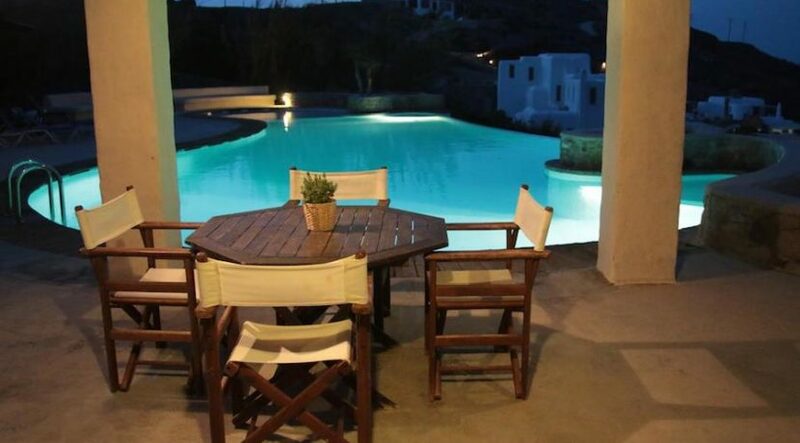 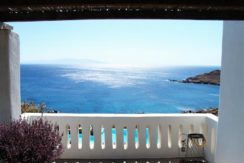 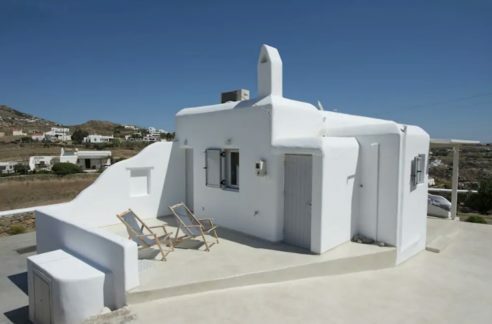 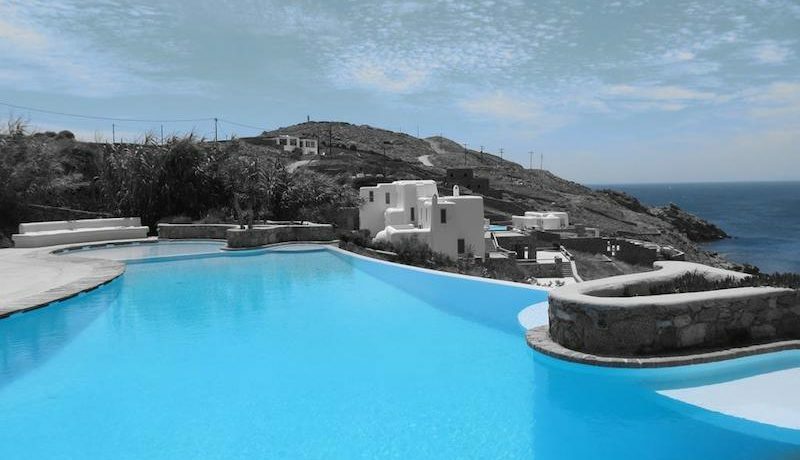 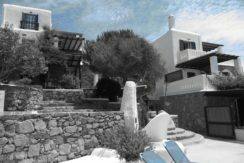 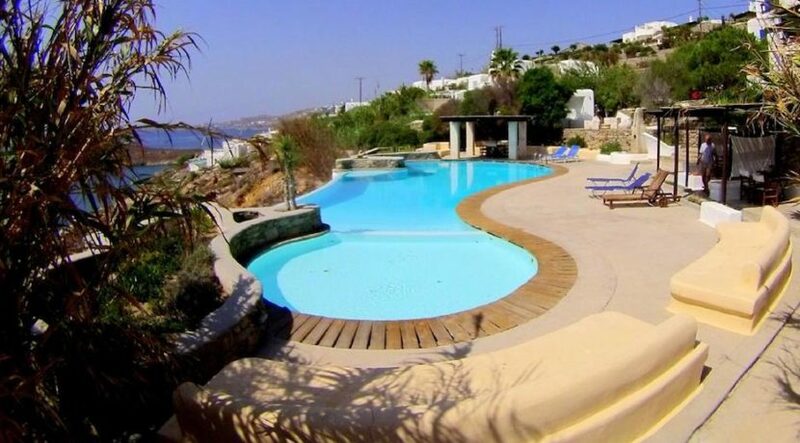 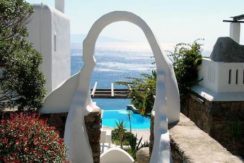 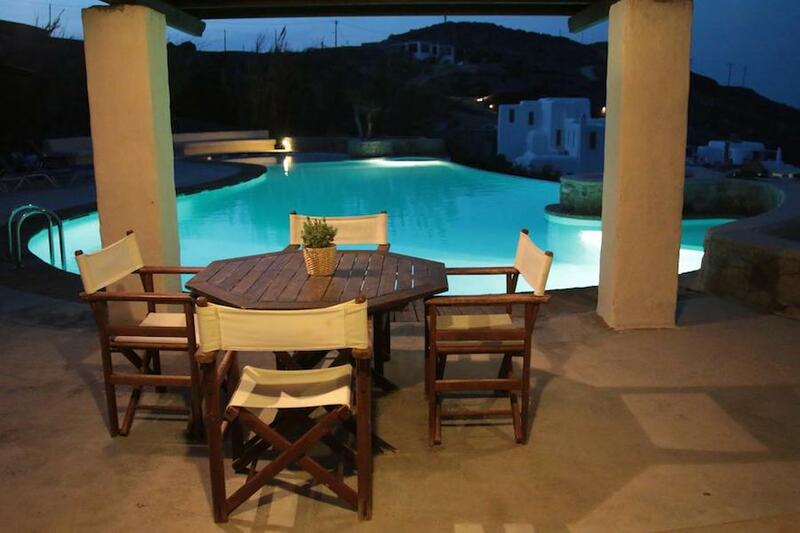 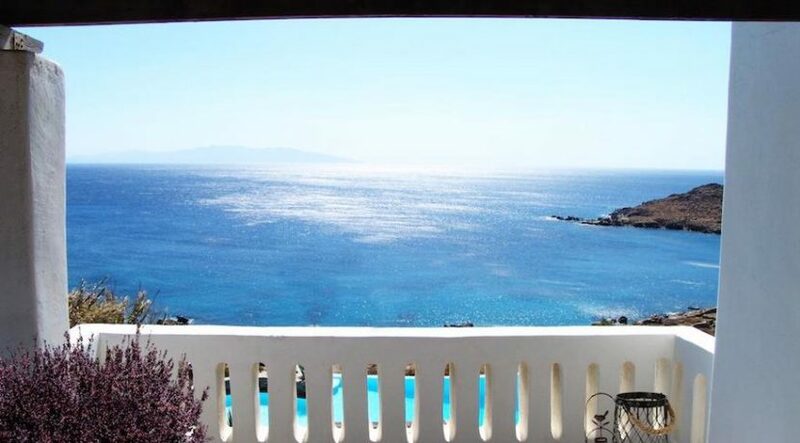 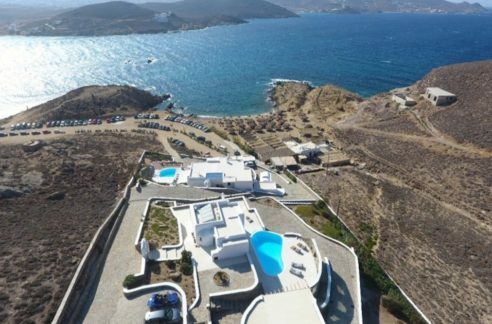 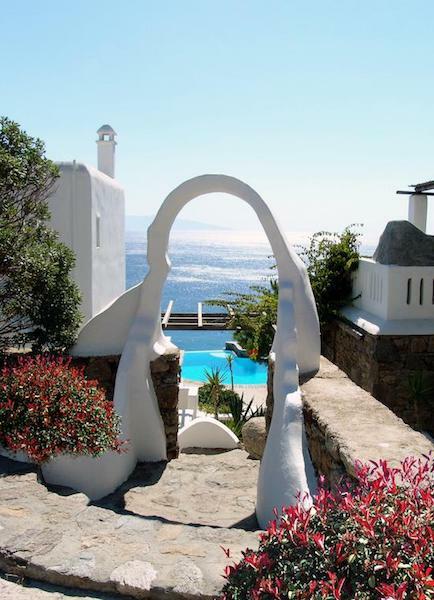 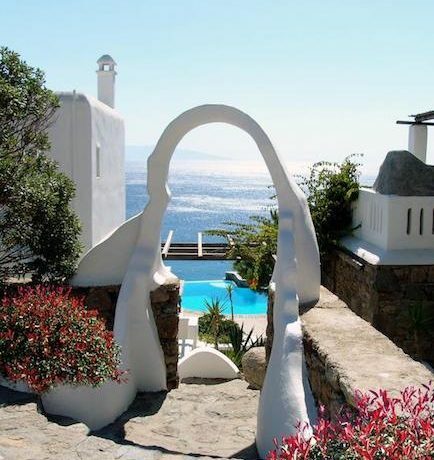 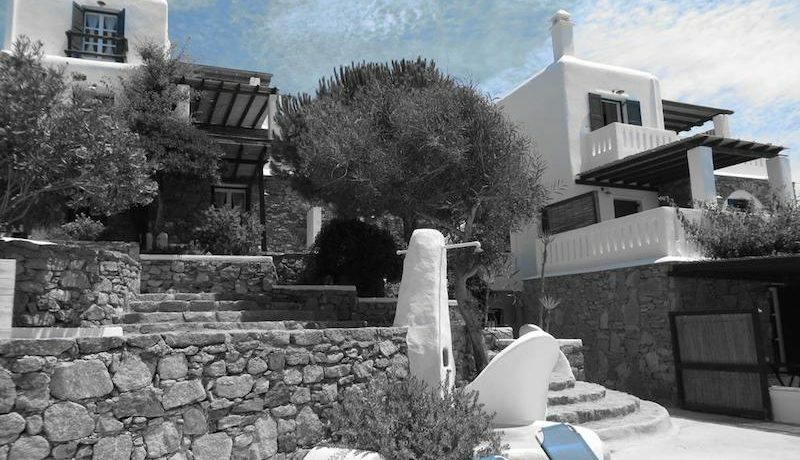 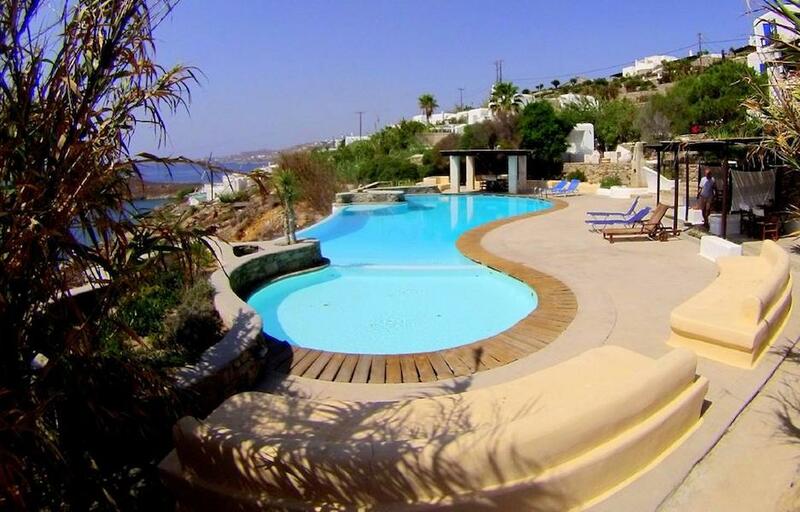 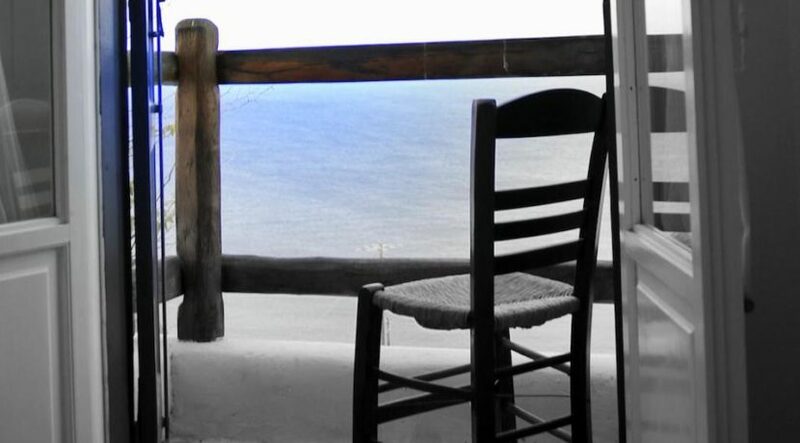 A complex for sale at Aleomandra area, one of Mykonos poshest areas. 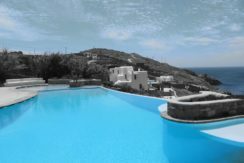 It has a 4 keys license for tourist accommodation, features sea view for all 9 rooms, a swimming pool and garden with trees. The complex consists of two buildings, each one with 2 studios and 2 one-bedroom apartments that can accommodate 2 to 4 people. 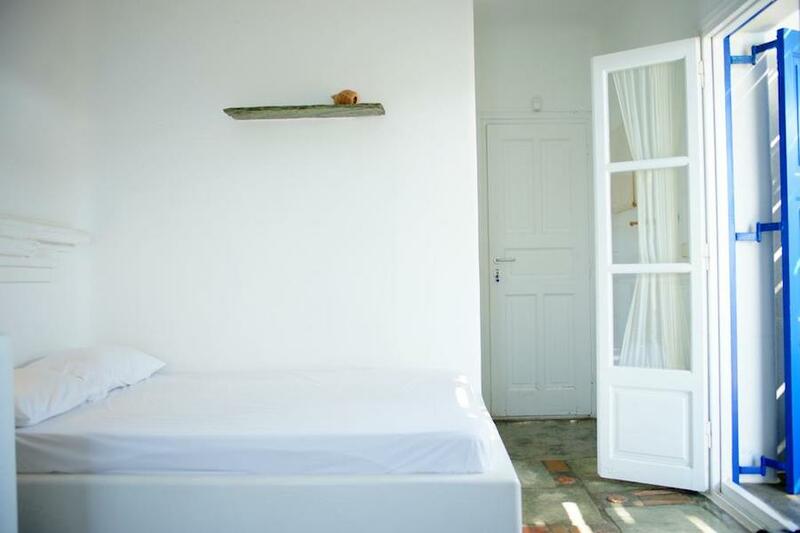 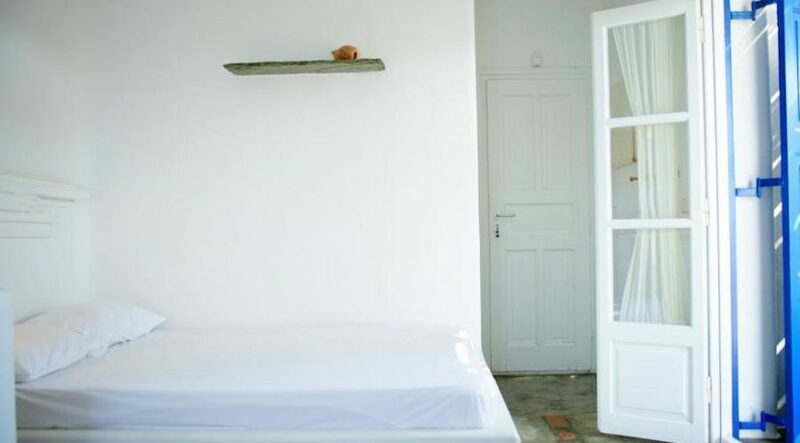 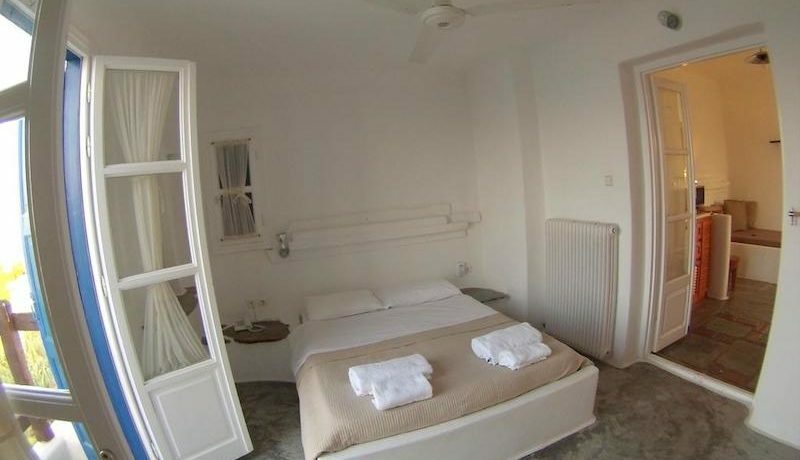 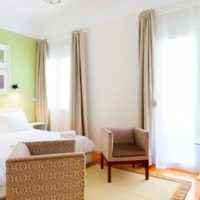 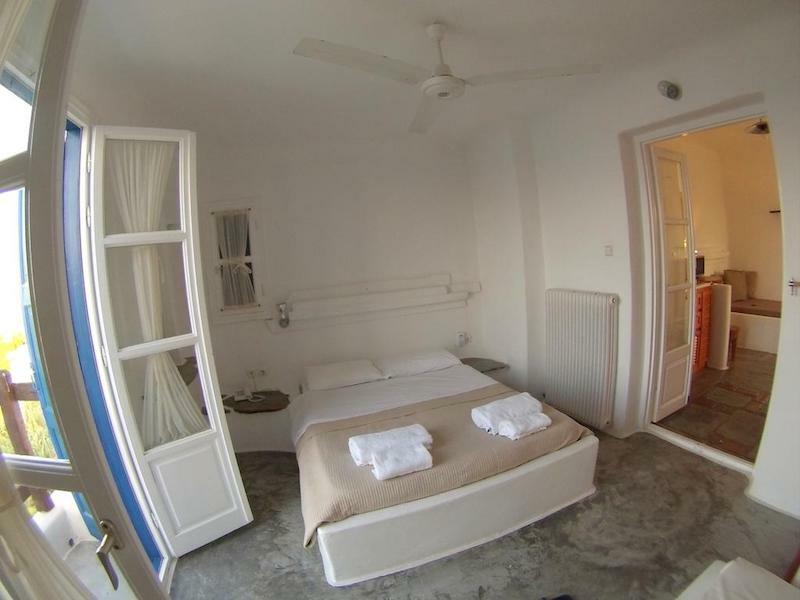 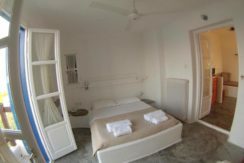 Each studio features a double bed, a fully equipped kitchen, A/C, ceiling fan, Wi-Fi, TV set and bathroom. 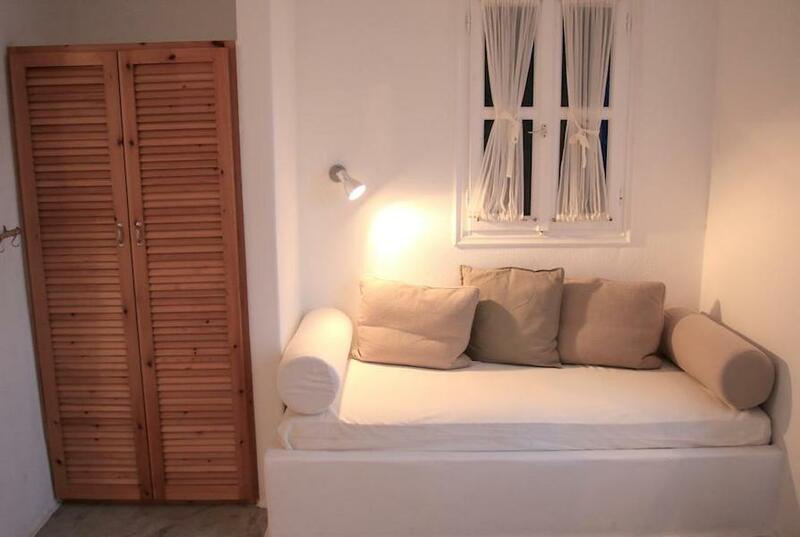 Each one-bedroom apartment also has a living room with 2 sofa beds. 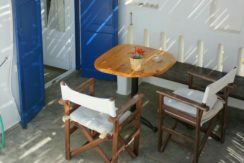 There is also a 20 sq.m. 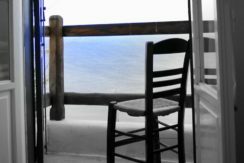 stand alone studio. 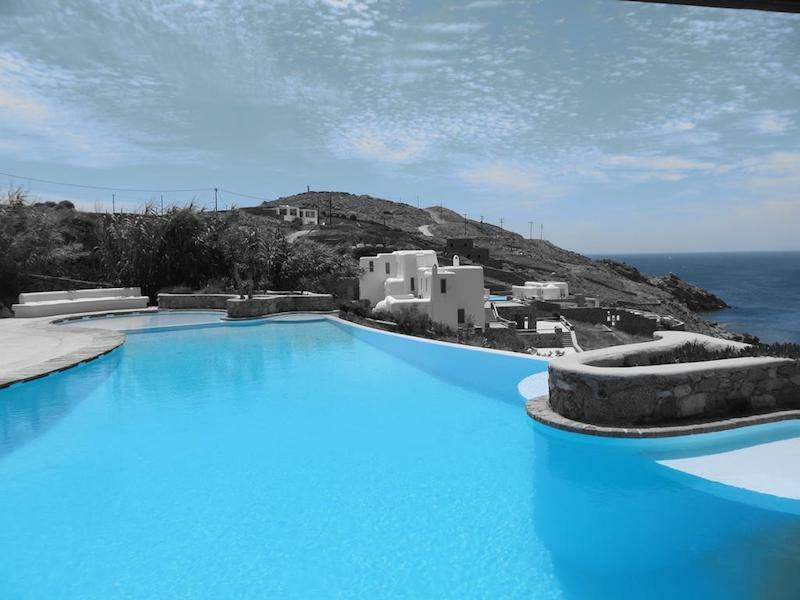 All units have direct view to the sea (90m distance). 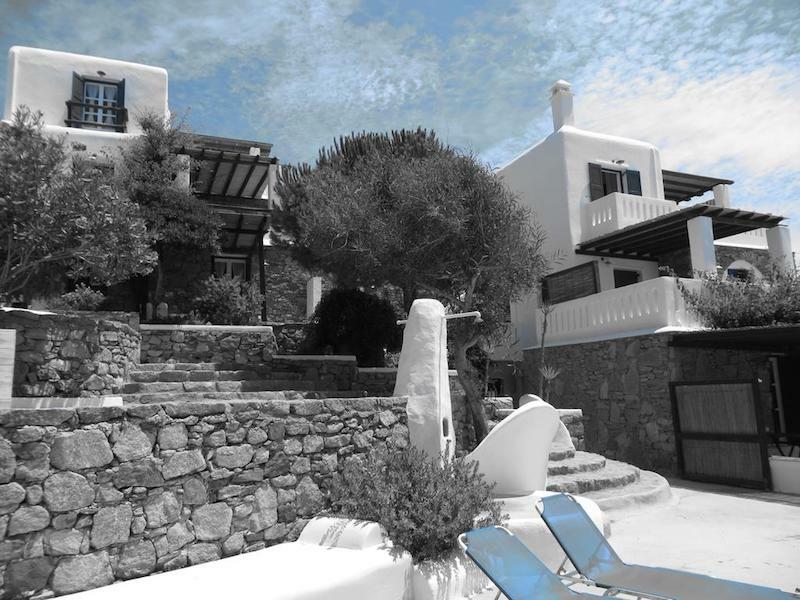 The property is located in a quiet spot of Aleomadra, a peninsula dotted with luxury hotels and villas. 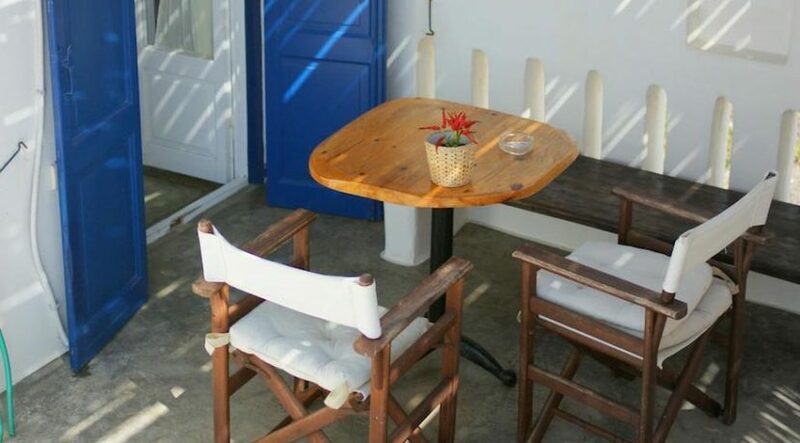 It is a 4 min drive to Ornos village, one of the island’s most organised settlements bustling with shops, car rental offices, a supermarket, bakery and pharmacy. 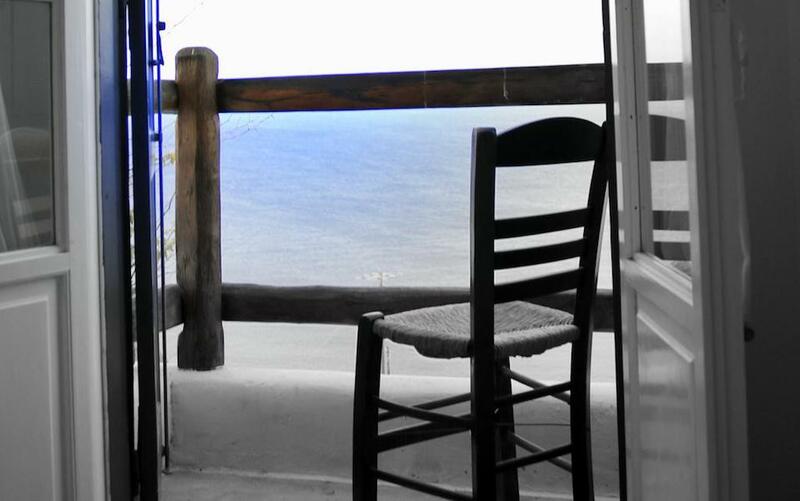 Its sandy beach is framed by restaurants, taverns and cafes for all tastes.